This Kunimichi belongs to Jojo saku ranking. Shinto : Jojo saku ranking : Wazamono cutting test ranking : Yamashiro. Blade length : 39.9 cm or 15.7 inches. Kasane : 0.80 cm or 0.31 inches. Shape : Wide thick blade with shallow curve. Jitetsu : Koitame-hada well grained with Mokume-hada mixed, Jinie attach very deeply with Chikei working. Special feature : Nie-deki Notare with Gunome mixed. Dewa Daijo Fujiwara Kunimichi is a most famous smith as a student of Horikawa Kunihiro. He kept forging during his long life so we can see many blades. He has born around 1576 and the last blade we can see is forged at 1657. 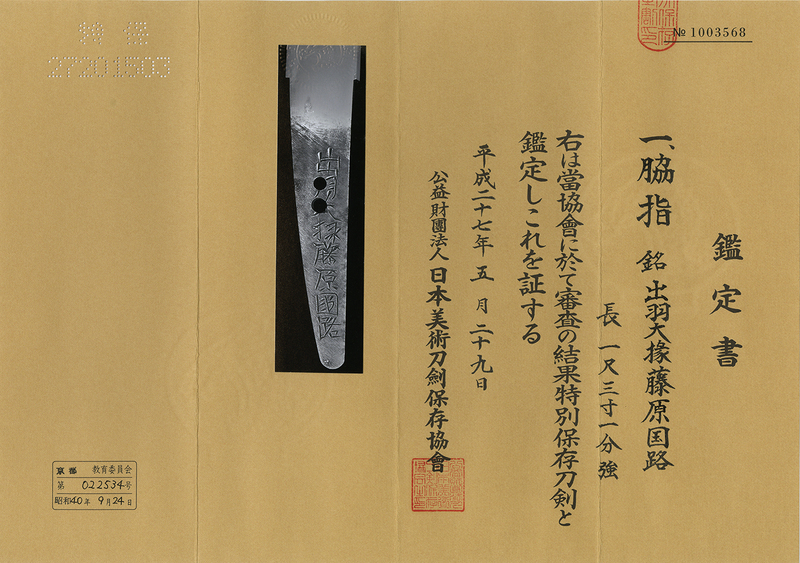 At first he engraved his signature as ‘Kunimichi’ and after he got title ‘Dewa Daijo’ around 1614~1615. He is a linage of Kanemichi and Boshi of his Hamon turns Notare original style which is called ‘Mishina Boshi’. We can find similar Boshi with Ecchu Masatoshi, Tanba the first generation and Iga Kinmichi. 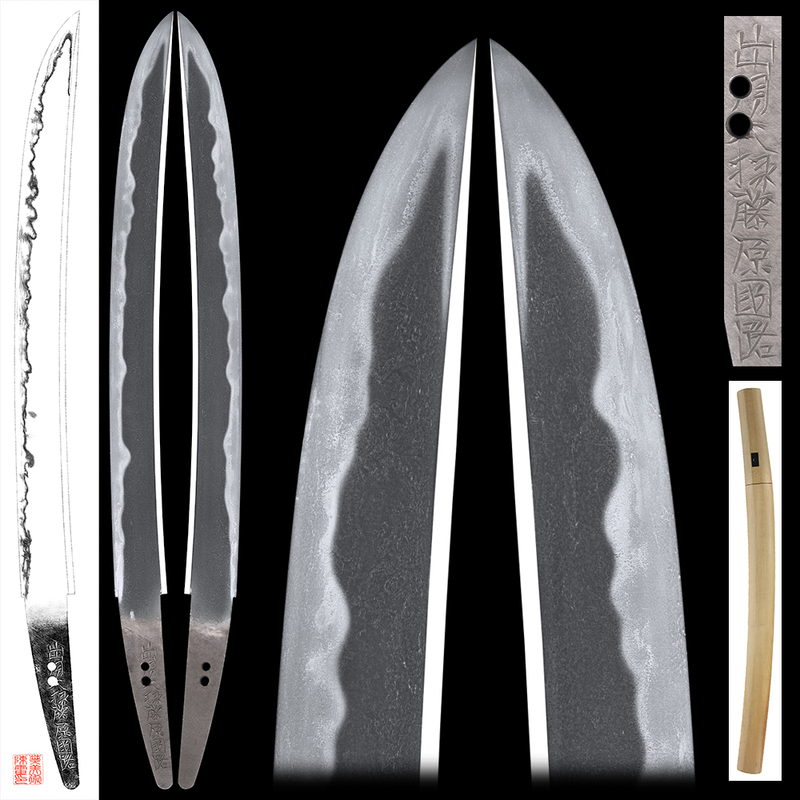 Most blades forged by Dewadaijo Kunimichi comes similar to Sodhden style. Jitesu of his blades becomes Zanguri style with Masanagare. Katana:Hizen Kuni Harima Daijyo Hujiwara Tadakuni.